Knowledge exchange. A process by which people in academia and end-users share knowledge, ideas and experiences. That is what I’ve been trying to help develop during my time as an intern with the UK International Ocean Discovery Program (UK IODP) at the University of Leicester. What we want to do is to promote and further develop the relationship between UK IODP and end-users, to help each side take advantage of what the other has to offer. For example the data that IODP collects is much valued by the hydrocarbon industry, as IODP drills and cores where they don’t. On the flip side, drilling technologies developed by industry have been utilised (and sometimes modified) during IODP expeditions. You can say that this relationship is a symbiotic one, and therefore it’s easy to appreciate how key the relationship is and why it is important to nurture it. So, my job is to build a corporate alumni database, cataloguing the careers of the UK scientists that have sailed on an IODP, ODP (Ocean Drilling Project) or DSDP (Deep Sea Drilling Project) projects over the last 50 years. At first I was confused as I didn’t fully appreciate how building this database was going to help with developing and promoting knowledge exchange. But I’ve come to realise that, by tracking the careers of the scientists and inputting them into one, easily accessible system, it becomes possible to identify individuals that have made the switch from academia to industry (and vice versa) and those with strong links to industry that can help advance and support UK IODP knowledge exchange. Identifying research born out of IODP expeditions that is relevant to academia, industry, society and policy, all show that IODP continues to be extremely relevant today. Building up the database has been pretty interesting and at some points challenging. In this day and age, it is very easy to assume that everybody has a presence online. I quickly realised that is definitely not the case and that finding people online isn’t as easy as it seems. Fortunately people in the Leicester Geology department, where I am based, have played such a big role in IODP over the years, and so if I couldn’t find anybody I could always ask somebody in the building if they had heard of that person and could then collect information that way! People like Brice Rea, Louise Anderson, Heike Delius and Trevor Williams, have all passed through Leicester at some stage of their careers and are now either still in academia (Trevor and Brice) or have moved on to industry (Louise and Heike). 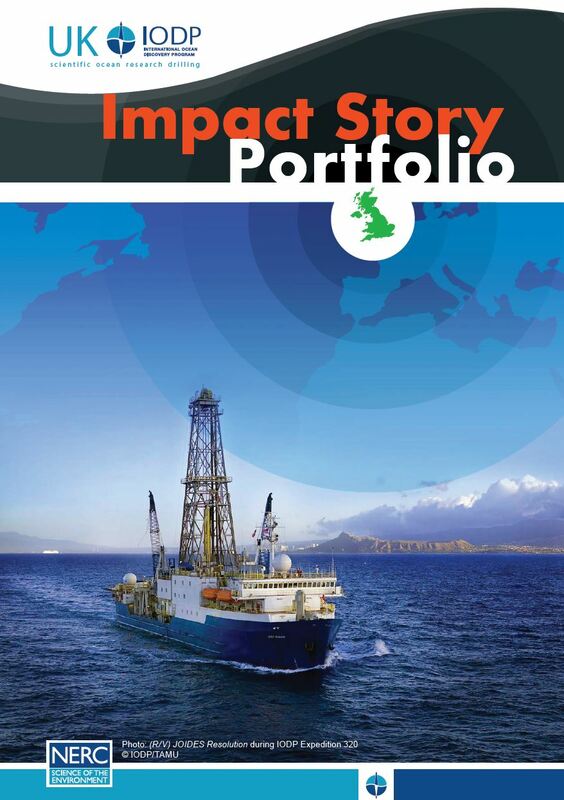 The information collated will ultimately be made available to members of the UK IODP community, as a resource for facilitating end-user engagement. The corporate alumni group will have an online presence that will be a platform for interaction and will provide a means of keeping the UK IODP community and its alumni informed and connected. Other platforms, LinkedIn for example, will be able to serve as another base for interaction of the community. The UK IODP Alumni Database is now available online.